A 10 Month old Shocking Lie is back again haunting people. Notes of 100 & 50 are not being banned. 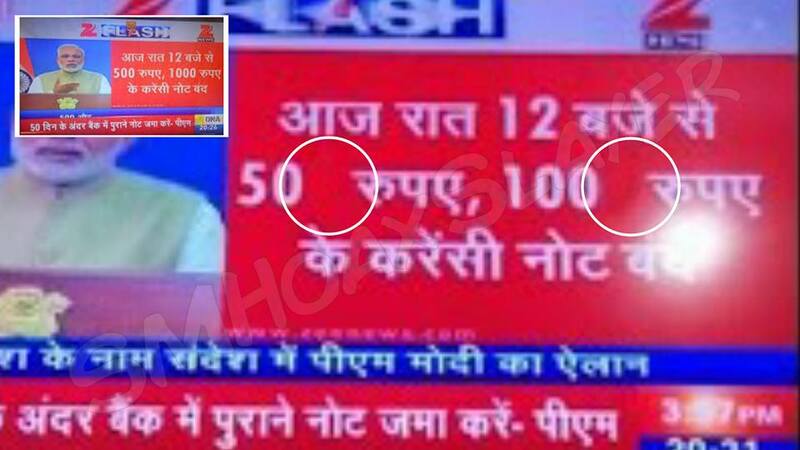 Some clever guy took a photo of announcement of ban of Note of Rs 500 & Thousand of his TV, removed a zero from end of both amount making 500 – 50 and 1000 – 100 and posted it. Please were already in state of shock (pun intended) in November 2016, they believed this also be true and made it viral. The gap/space between 50 and रुपए can easily be seen. ← Did Gurmeet’s Supporters wave Pakistani Flag in Rohatk today ? AR Rahaman didn’t say anything about beef.